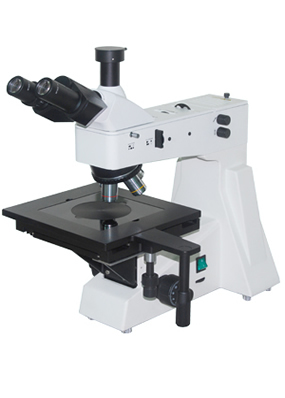 XJL-302 upright metallurgical microscope is suitable to observe surfaces of opaque object. It is equipped excellent UIS optical system and modularization function design so that update system expediently and achieved polarization, dark field observation. Compact and steady main frame body is embodiment for the shock resistance. The ideal ergonomic design is adopted in this unit and has easier operation and wider space. This is ideal optical instrument for micro observation in metallographic structure and surface morphology. It is suitable for research in metallography, mineralogy, precision engineering, etc. Trinocular inclined 30?, can be shot in 100% light flux. Coaxial coarse/fine focus system, with tension adjustable and limit stopper, minimum division of fine focusing: 0.7μm. DV-1 Video output￡¨380/520 TV line￡? USB output ￡¨0.42 M pixel￡? DV-2 With USB output ￡¨1.3M,2.0M,3.0M pixel￡? DV-3 With video output￡¨380/520 TV line￡?